Talk and ideas about ‘super’ foods! With the spring in the air, longer and warmer (ish) days, I do make sure we are both well hydrated for our active lifestyle. We don’t buy any fizzy, flavored drinks. Those are full of sugar, artificial sugars and other ingredients which are not good for your body and mind. We make our own flavoured fizzy (or still) drinks. It is so simple. Actually it doesn’t get simplier than this. 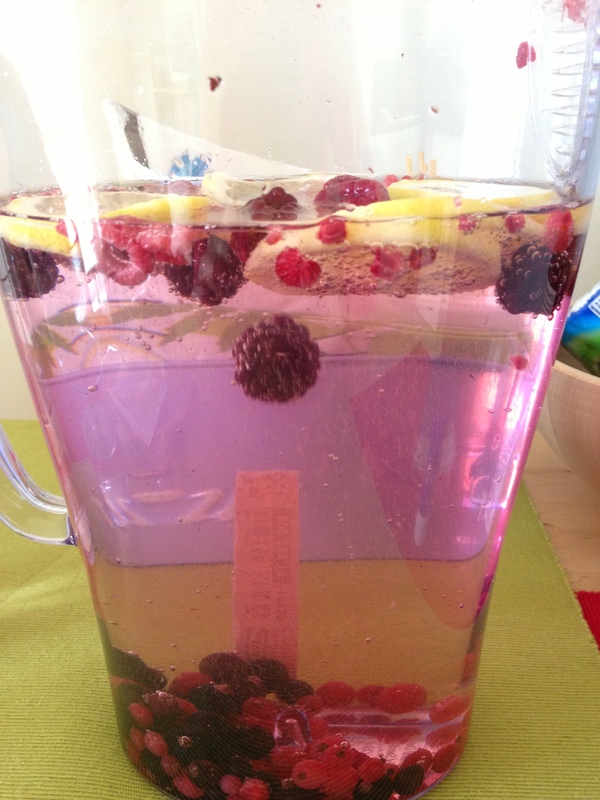 Take a big jug, a few slices of lemon/lime/orange, a handful of frozen berries, add either sparkling or still water. You can also add few extra ice cubes if you like a big cooler. Leave for 20-30 min so the flavours and colours come out of fruits. Done! You can also use cucumber and add few herbs like mint, basil or parsley for more savory flavour. I made this breakfast a few times and it blows my mind every time. The flavours are just amazing, especially as I use coconut oil to cook the omelette I find that it brings the flavour of the banana more out. It takes you to the exotic place and this first thing in the morning. Ultimate orgasmic sensation! Plus it gives you the needed energy for the active day. Mash the banana in a bowl, crack the eggs in, add chia seeds, cocoa nibs, and salt. Give good mix. In the meantime, heat a frying pan on medium heat, melt coconut oil. Once the coconut oil is melted add the egg mixture. Enjoy the smell! Takes about 5-7 minutes (depending on the thickness of the omelette and how you like your omelette). Done! Serve with some fresh grapefruit/berries or avocado. Something I have never thought of before, but after going to a Sports Nutrition seminar few weeks ago (where I learned a lot of amazing scientific evidences), I have to share this with you. (Virgin) Olive Oil has been cultivated for thousands of years! It’s a great source of Vitamin K, E and Omega 9 fatty acids. Being monounsaturated fat, Olive Oil protects against coronary heart disease, prevents diabetes and lowers blood pressure. It is no surprise that many doctors recommend to follow “Mediterranean diet”! Coconut Oil on the other hand classed as a saturated fat and as we all know is not as healthy as (mono/poly)unsaturated fats. But the saturated fat in coconut oil is a different type as to those found in meat and dairy and doesn’t have the same health risks. Coconut Oil is known as Medium Chain Fatty acids (MCTs) which means it is more soluble, easy to digest and metabolised by the body, used as energy source rather than stored as fat. The Medium Chain Fatty acids help with Calcium and Magnesium absorption. But the problem with Olive Oil is that it is a low heat oil which means if using it for cooking (frying) it has a very low point at which is starts to burn and to smoke (Don’t tell me you don’t get it!). This results in activation of Free Radicals. In general unsaturated fatty acids are unstable and easily oxidized when exposed to oxygen free-radicals. What are these Free Radicals? Free Radicals are highly reactive molecules contain one or more unpaired electrons, are extremely unstable and immediately react with another molecule (which then forms a new radical – the cycle of free radicals). They damage various body cells and could be the cause for various diseases such as cancer, heart disease, stroke, immune system weakness, cataracts etc. Free Radicals have to be neutralized with antioxidants. Fresh fruit and vegetables are great source of antioxidants. No wonder medics, dietitians and scientists recommend eating at least 5 portions of fruit and vegetables a day and include various colours (mix it up, brighten it up!). BUT there are however also some benefits of Free Radicals such as production of sperm, and eggs in ovaries. Conclusion even though coconut oil is saturated fat (MCTs) it is a much healthier option than olive oil. Mix all good together until you get silky dressing. Done! That now explains to me why I never liked the smell in the house after cooking with olive oil. I found the smell very heavy, somehow poisonous. Since understanding a bit of science, I’ve started using coconut oil and the transformation is amazing. The house smells nice, it doesn’t burn, the meal is much cleaner, tastier and delicious. Check out my recent recipe. Did you know that Vitamin E helps to keep the skin wrinkle-free and hair glossy? Vitamin K is the green leafy vitamin which helps against blood clotting. We all know food can affect not only your health, body, digestive system etc. but also mood. The phrase “comfort foods” is familiar to anyone. Unfortunately those so-called “comfort foods” are high in fat and/or sugar which is somehow deceptive. How can high fat/sugar food comfort you without feeling guilty afterward?! For many it becomes a cycle of comfort foods/eating/guilt/mood/depression/comfort foods….. Dark chocolate: Elation (an emotion of happiness). Reading these facts made me think. Why are we reaching to high fat/sugar foods as “comfort foods” where clearly from the information above we can prevent the guilt feeling by consuming good mood foods, doing good for our bodies and mind? Why do we care so little while we consume so-called “comfort foods” but care a lot and are emotional only few minutes later? And can we prevent depressions, anxiety, emotional stress by consuming well-balanced, healthy meals made from real food? Rather than reaching for high-fat/high-sugar foods when you feel stressed or down why not reach for something from above?! I love a good home-made risotto. And over the last few years I tried different versions all of which tasted slightly different but still delicious. But this one I made few days ago is topping all of them. 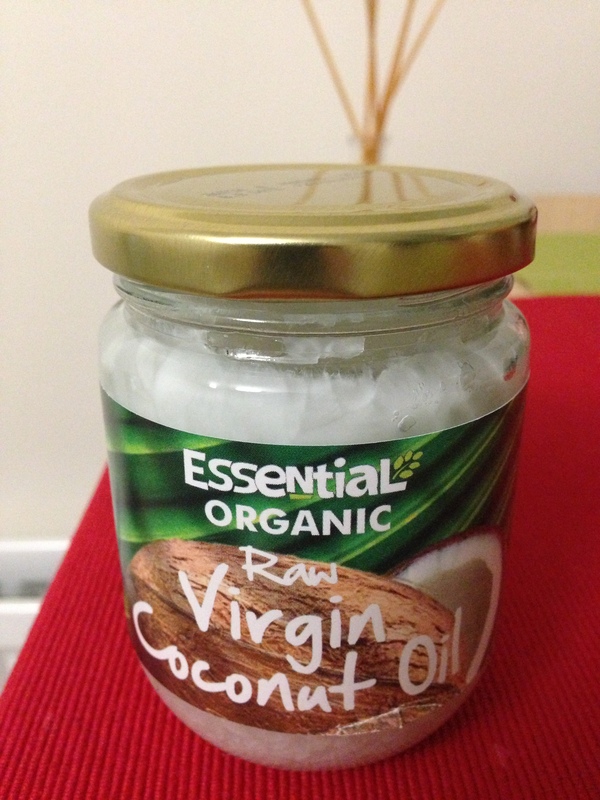 I used coconut oil for the first time ever and was slightly sceptical but the final result was a sense of pleasure, delight and cleanness… wanting more. – 1L of home-made hot chicken stock (twist No. 3) – this extra effort is worth it believe me! I made my own chicken stock. I know that sounds a lot of work, but is actually not. See my blog here. It is worth the extra effort. Try it out and you will see/taste it for yourself! Also I used heavy iron casserole pot (twist No 4). Heat the pot over medium heat (careful the iron casserole can get very, very hot), add coconut oil (and smell the amazing coconut flavour which takes you to a far far away land… twist No. 5). Fry shallot, garlic, celery for about 5 minutes. Add risotto rice and fry for 2-3 minutes. Then add prosecco. Again smell the amazing flavour combination. Let the alcohol cook off than start adding chicken stock ladle by ladle. As we all know cooking risotto requires patient and close eye – somehow relaxing. So have a glass of prosecco to enjoy the task (twist No. 6). After 10 minutes add peas and broad beans. Keep stirring and adding more stock (if required). We like our risotto with a bit of a bite. Another 10 minutes the rice has the right bite. Turn heat off. Mix in herbs, butter, grated parmesan. Put lid on and leave for 5 minutes. This will allow the flavours to mix and risotto becomes creamy. Drizzle the lemon juice. Serve immediately! (you wouldn’t be able to resist it any longer). 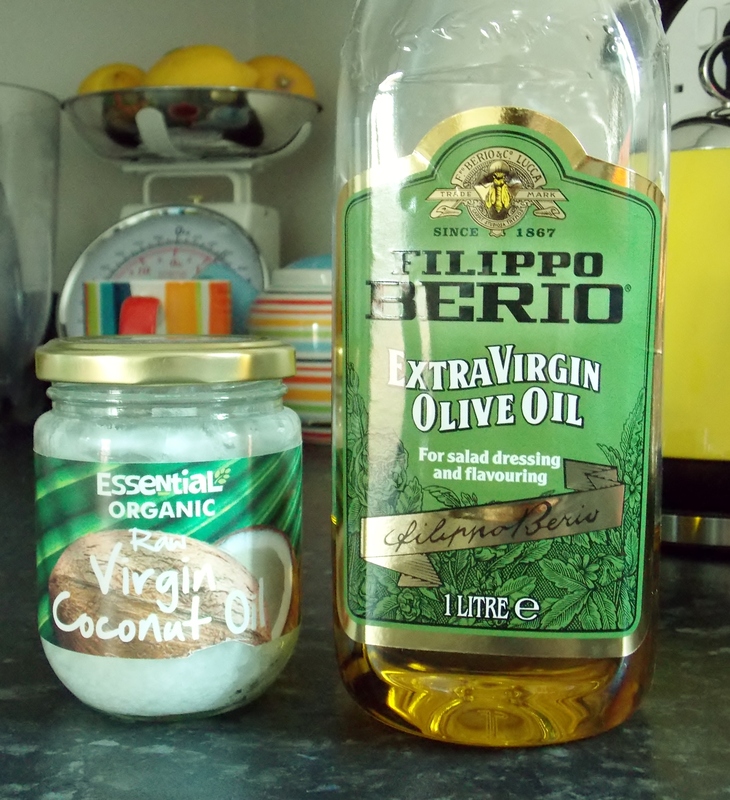 I found using coconut oil gave risotto much cleaner texture and flavour rather than olive oil or rapeseed/sunflower oil. The reason is that coconut oil is a high heat oil where for example olive oil is not. Means coconut oil doesn’t burn and get smoky/greasy. Also prosecco worked very well. I guess there isn’t much different between a good quality white wine and a good prosecco. 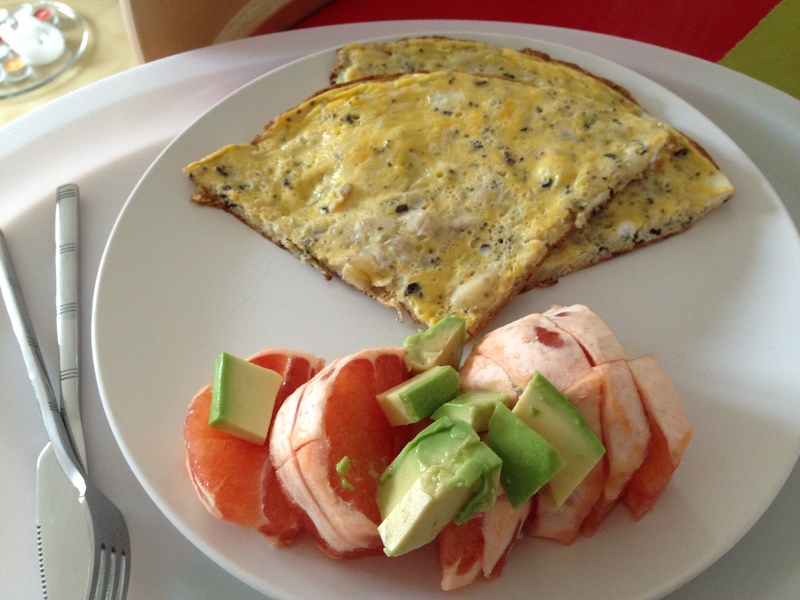 This is another recipe of mine which is super easy to make, healthy and so delicious. Very good to take for lunch to work or as side dish with some poached salmon and steamed broccoli. Delish! Cook mung beans as per pack instruction (takes about 20-25 minutes). Drain, rinse. Leave to cool a little bit. While the mung beans are cooking chop herbs and chillies put in big bowl. Zest lemon and use the juice. Cut feta in squares. If using pear/carrot cut in nice pieces (or shave carrot). When mung beans are ready put to the bowl with herbs etc. Add splash of olive oil and salt pepper (careful). Give good mix. Taste, season if needed (or add more lemon juice – see my tip). Mix, taste. Done! Cooking doesn’t get easier than that! 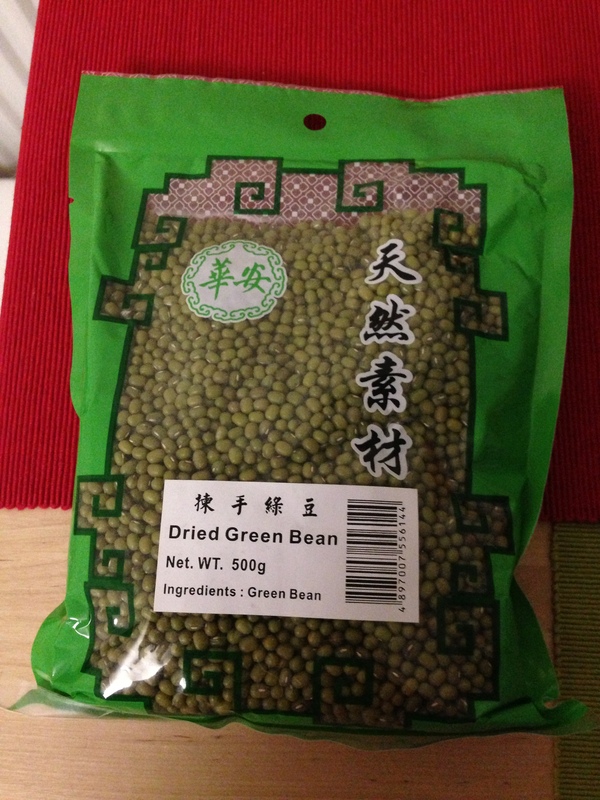 Did you know that mung beans are great source of protein, Vitamin C, Calcium and Carbohydrates.